Wilhelm Swart, MD of BluESP. 4Sight Holdings, a JSE-listed diversified holding company that invests in Industry 4.0 technology businesses, has appointed Wilhelm Swart as managing director of BluESP. The group engineering technology company offers process and asset optimisation software solutions to the mining and manufacturing sectors. 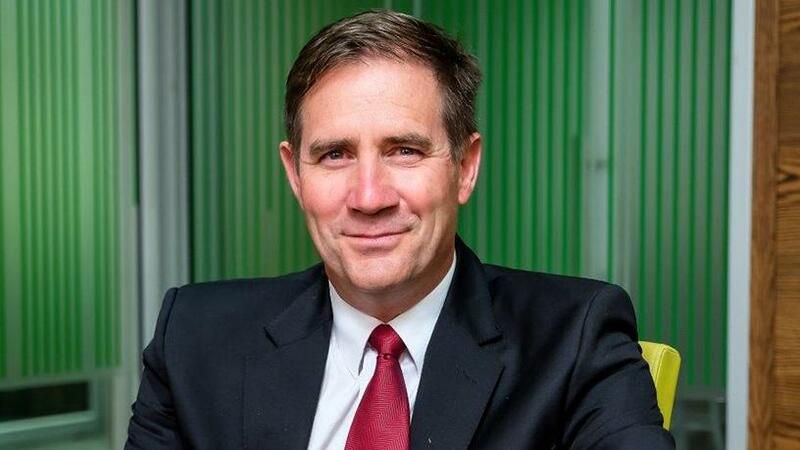 Swart is a former Schneider Electric Middle East and Africa mining VP. His primary role entailed managing a sales team that generated significant revenue for the company and drove new business development, primarily in the mining, metals, minerals and cement sectors in the Middle East and Africa regions, says 4Sight. "Increasingly, my engagements with C-level executives in these sectors have centred around the need for digital transformation strategies that can address the many operational and maintenance management challenges they currently face," states Swart. "In today's highly competitive and dynamic global marketplace, companies are looking to implement agile technology solutions that streamline operations, drive greater organisational efficiencies, and positively impact on the bottom line. They also require fast implementations that deliver a return on investment within a short period of time to realise immediate benefits." Swart explains that the demand for intelligent software technologies that optimise every aspect of the supply chain is currently greatest in process-intensive sectors. "Whether it's precision commercial farming, or precision mining operations, every business has a requirement to better utilise resources and improve outputs. CEOs, CIOs, CTOs and CDOs are therefore engaging with technology experts to gain strategic direction, and implement solutions and innovations to deliver a digital revolution that can benefit the business." Swart believes BluESP, along with the other 4Sight Holdings group companies, are ideally positioned to meet these demands. "Industry 4.0 tech is the next hyper-growth market over the next five years. I therefore consider my appointment a unique opportunity to enter this digital transformation solution business ahead of the boom. "It also allows me to combine my experience and expertise in the energy management and automation hardware and software sectors to help innovate and deliver solutions that will make a significant difference to BluESP customers, and deliver sustainable growth for 4Sight Holdings." In his role as MD of BluESP, Swart plans to streamline the company's software solutions go-to-market strategies, with a focus on the mining, chemicals, pharmaceuticals, oil and gas, manufacturing, and engineering, procurement and construction sectors. These industries offer opportunities to capitalise on BluESP's expertise and Industry 4.0 engineering software solutions, the company says. Swart believes the best customer outcome is ultimately derived from an ecosystem of partners, project execution and open technologies that work well together. That is why he will also look for up-selling and cross-selling opportunities by unlocking synergies between the other 4Sight Holdings entities and BluESP. These acquired technology businesses include 4Sight South Africa, Simulation Engineering Technologies, AGE Technologies, NTSIKA Cybersecurity and NTSIKA Digital, AccTech Systems, Strategix SAS, and OneSource.